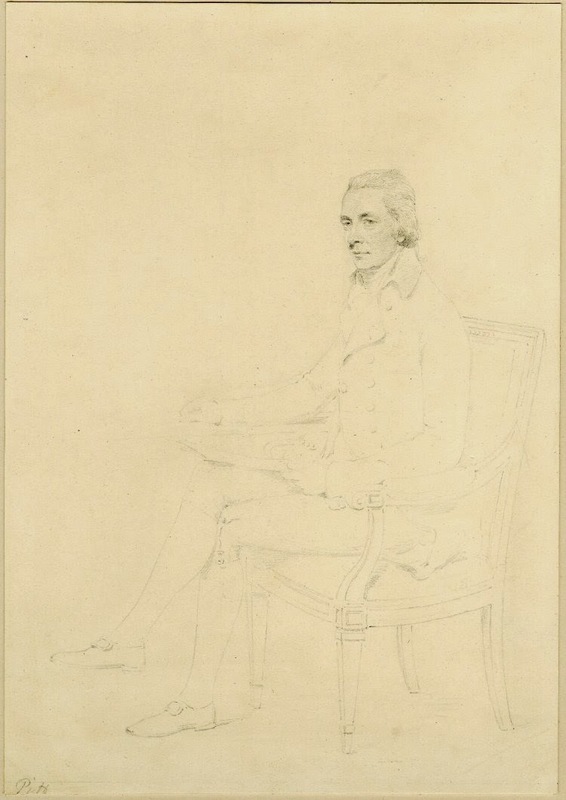 On July 2, 1801, Lord Lowther wrote to Pitt on behalf of the artist Henry Edridge in order to request Pitt to sit for a portrait. Mr. Edridge especially wished that Pitt would come to his house to sit for the sketch. Meanwhile, Lowther had his doubts, admitting that he was “afraid you will reluctantly consent to this Proposal." Pitt was not comfortable with those with whom he wasn't acquainted, and the thought of sitting to Edridge at the artist's house must not have been the most attractive proposition. Pitt had resigned as Premier five months earlier after seventeen years at the helm of state, and he had busily been avoiding most social engagements ever since that time. Furthermore, sitting for portraits had never been at the top of his list. Lord Lowther, however, was insistent, and he pressed the matter by saying that "Mr. Edridge speaks so highly of your Patience. He assures me he shall not put it to a severe tryal.”  Perhaps Lowther and Edridge were hoping to win Pitt over by emphasising his patience. Lowther finished the missive by asking Pitt to name a time that would be convenient for him. Indeed, later in 1801 an oil painting was also made after the original by Henry Edridge. Note the similarities as well as the differences between the preparatory sketch and the oil painting that was created later. The attribution was 'after,' not 'by,' Edridge, so the name of the artist is not specified. 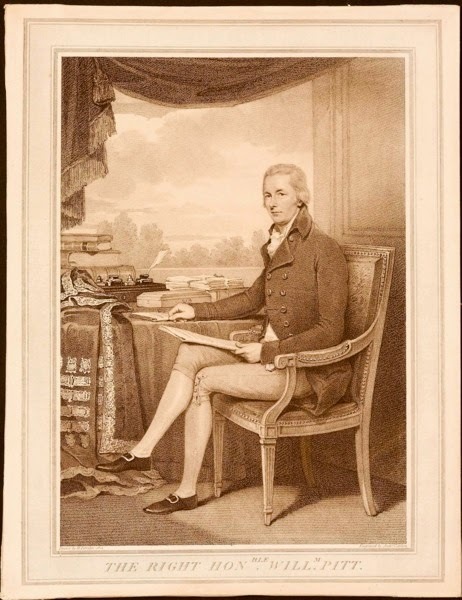 On December 26, 1804, a further engraving of Pitt by the artist Anthony Cardon, after the original drawing by Edridge, was also published. It's quite interesting to compare these three different versions of the same portrait. As Pitt lived long before the advent of photography, the modern viewer only has sketches, engravings, prints, political caricatures, and a small handful of portraits with which to get a general idea of his physical features. We simply do not know exactly what Pitt looked like, nor will we ever be able to hear his ringing voice. The closest one can get is through reading contemporary accounts of Pitt's voice from those who met him. In Joseph Farington's diary of September 8, 1804, he makes a mention of Henry Edridge commenting upon Pitt's voice. 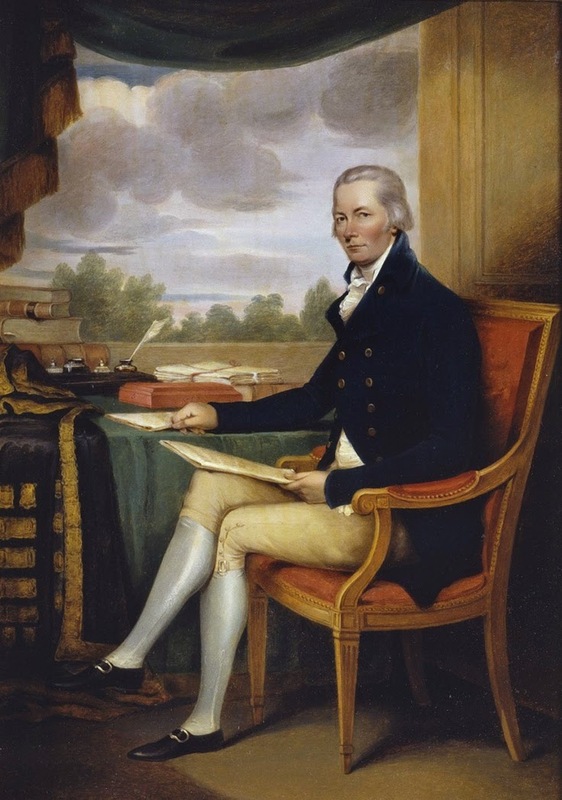 Edridge had by then sketched Pitt's likeness, and he had apparently also seen him at Cashioberry, Lord Essex's residence, when Pitt was also present. Edridge "spoke of the deep, bell-toned, voice of Mr. Pitt, which, with his emphasis, made common things said by him seem to have a great effect." Accounts such as the one above is simply the closest we can now get, and it leaves quite a lot to the imagination. 1. Lord Lowther to William Pitt, July 2, 1801. William Dacre Adams Papers. British Library. Add MS 89036/1/8, f. 39. 3. Earl Philip Henry Stanhope (1862) Life of the Right Honourable William Pitt, Volume 4. London: John Murray, p. 399. 4. Greig, J. (ed.) (1923) The Farington Diary, Vol. 2. London: Hutchinson & Co., p. 283.